Lounge/Diner: Is comfortable with three piece suite, TV, DVD and video and CD player. 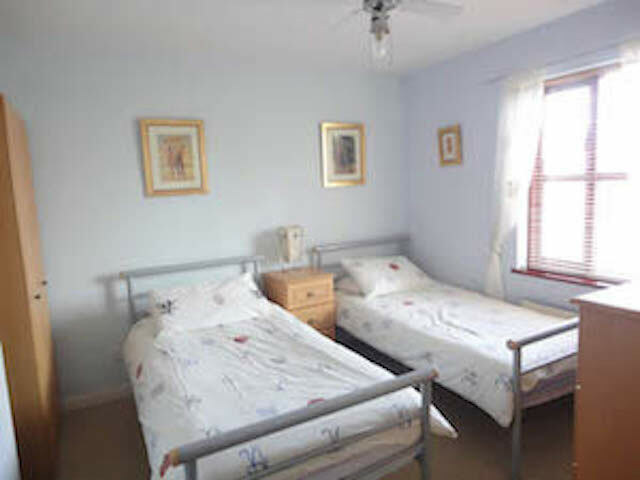 Bedrooms: Bedroom 1:1 x double bed, bedroom 2: 2 x single beds and bedroom 3: 1 x single. Travel cot (provided on request but please bring own cot bedding). 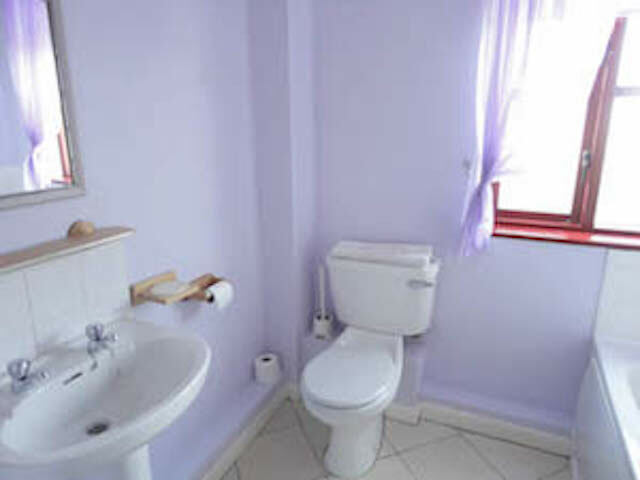 A lovely house to stay in, nice large lounge, well-equipped kitchen - very convenient to beach and amenities. Have stayed before and look forward to visiting again. This was our 10th year with Stay in the Havens all the cottages have been clean well furnished/facilities provided in a lovely part of Wales. 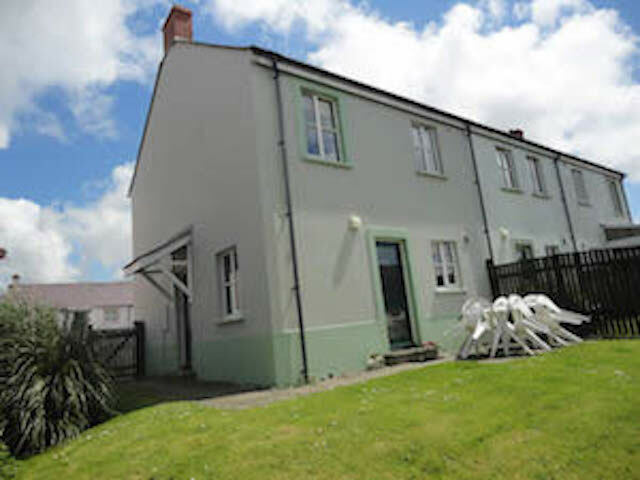 We had such a lovely stay in Broad Haven, 22 Wilson Meadow was exactly what we needed. We really enjoyed our stay and loved being so close to the beach. We will definitely be back! Really enjoyed our week in Broadhaven, thank you for your prompt action in dealing with hot water issue. Great house, had a good time and great weather. Another enjoyable stay. Good weather and wildlife spotting (Peregrine, Choughs). Tap water is extremely hot - take care. NB from Karen - water temperature now altered. Great house warm friendly. Lovely beach family well enjoyed themselves. Will come again. PS Hot water very hot. Thank you x. Great base to see local area from. Dogs loved the beach and we had a nice stay - shame about the weather! We had a lovely time here. The house and garden is brilliant and we had so much fun on all the different beaches. I loved canoeing at Nolton Haven beach! We'll be back! Great location. Family and dog had a lovely week in Broad Haven. Only criticisms are that the sheets for the single beds are too small and fall off during the night and TV could be easier to operate. Only channel available was BBC1! NB from Karen - The TV has many channels and the instructions have been added to the cottage. Back for our 8th or 9th visit - great as ever, the dog feels at home, as do we. 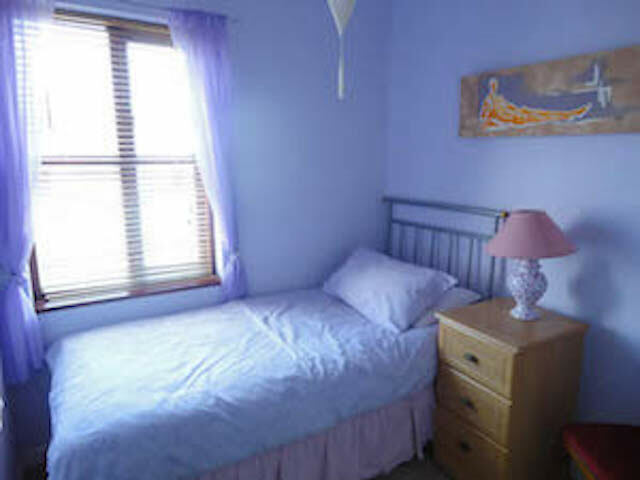 Very convenient location for family in Haverfordwest and the beach - we'll be back! Thanks for a great service. Did the job we needed of it - gave us the chance to be with the family without imposing on them. Great too that we could have the dog with us as that justified the long walks on the windswept beaches that really blew the Christmas cobwebs away. Thank you. One place you can truely escape and get off the mad treadmill of life. Fantastic chill out. Thanks once again. 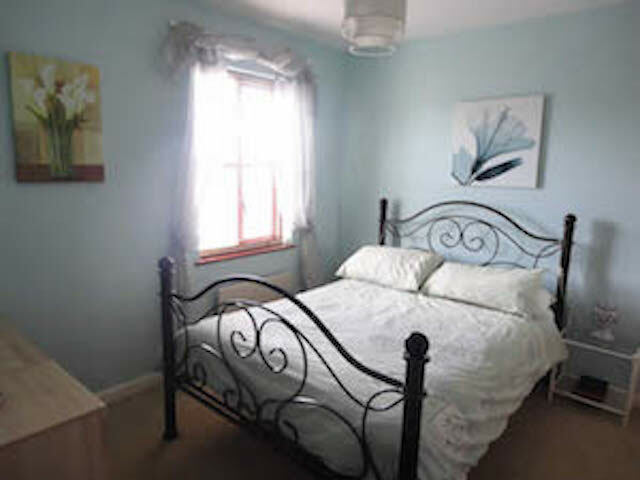 Very enjoyable stay the house is spacious and well equipped. Nice quiet location and a fantastic beach which was great for the children and dog to play on. The walk over to Little Haven when the tide is out is just enough to enjoy a bit of exercise and visit one of the pubs for lunch before walking back. The shops were really good and we really enjoyed staying here. We will come again. Lovely house, much bigger than I thought. Fabulous place which never disappoints. The Ocean Bar/Cafe/Restaurant if family friendly and we were even allowed to take out dog into the bar on a wet day. The Harbour Inn at Solva also allows dogs and is a great place to go crabbing. Back next year! Very relaxing stay again. House well equipped, although a coffee pot would be welcome next year. Great place to be marooned in the rain watching the Olympics. Fabulous when the sun shines. NB from Karen - A cafetier has now been added. Great house, great beach, fab time as usual! Thanks and see you next year! Thank you for letting us stay at your lovely home. My daughter and her husband live in Johnston and this is perfect for a family get together. Location is perfect and dog secure. Thank you very much. We really enjoyed out stay here. Thank you to Karen and family for being so lovely and welcoming. We will be recommending this to family and friends. Many thanks for a fab time in Broad Haven!